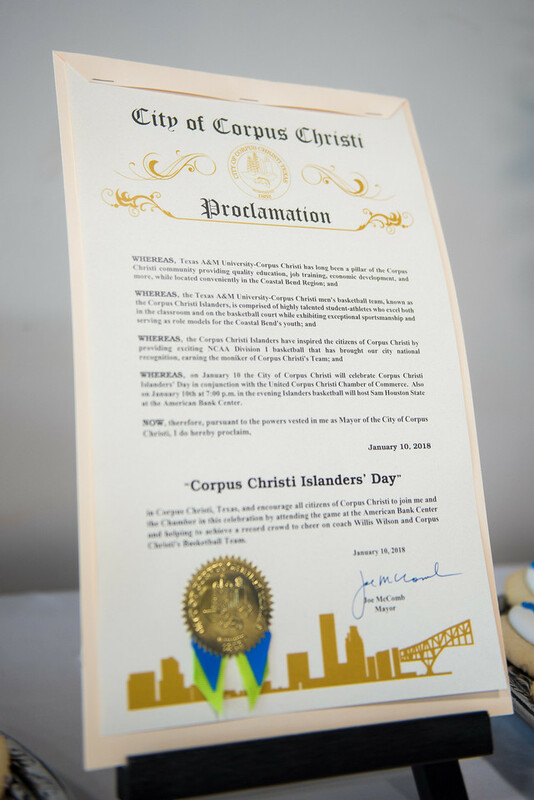 CORPUS CHRISTI, Texas – During a proclamation read at the Ortiz Center earlier this week, Corpus Christi Mayor Joe McComb and the United Corpus Christi Chamber of Commerce declared today, Wednesday, Jan. 10, Islanders Day in honor of the Texas A&M University-Corpus Christi Islanders Men’s Basketball Team. 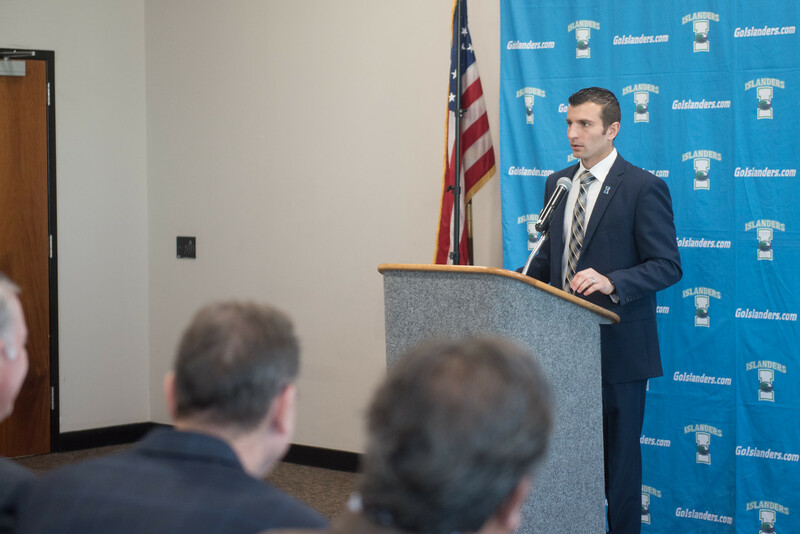 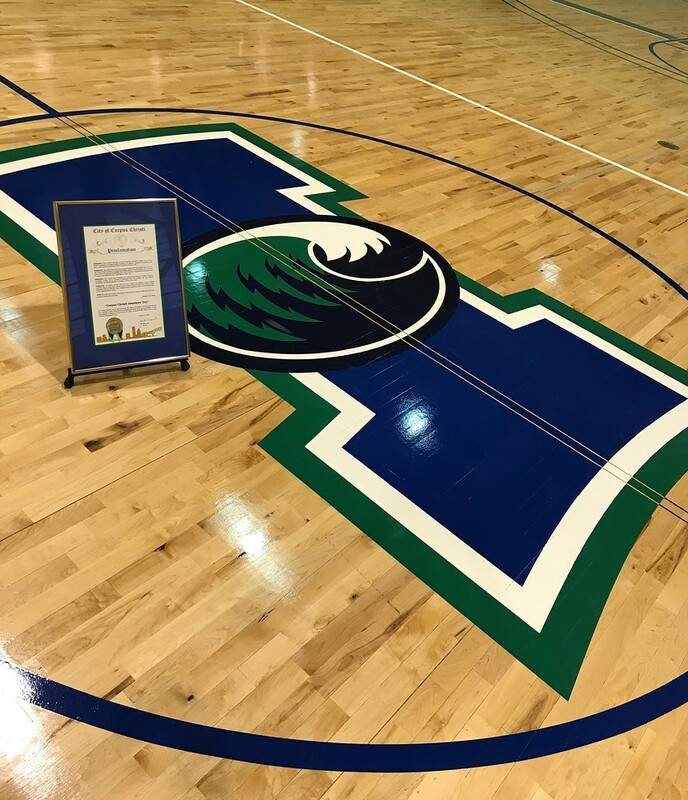 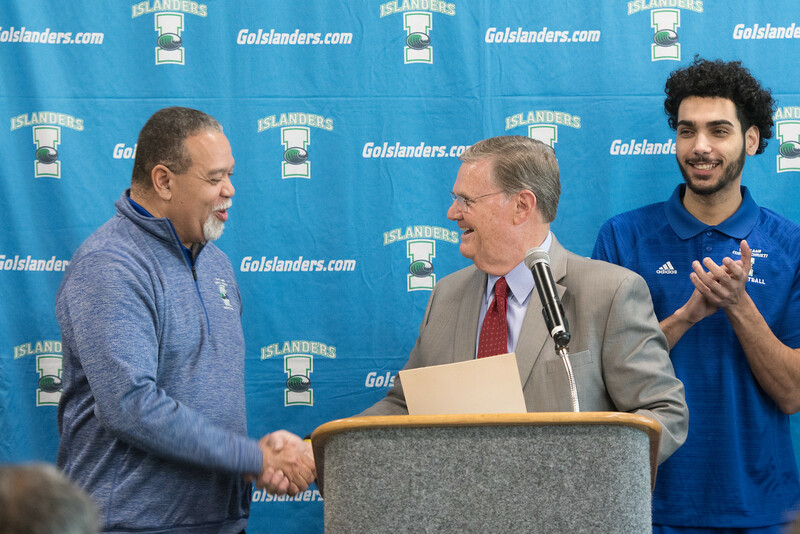 The proclamation was a historical event for Islanders Athletics, as it was the first time the City of Corpus Christi recognized the achievements of the Men’s Basketball team. 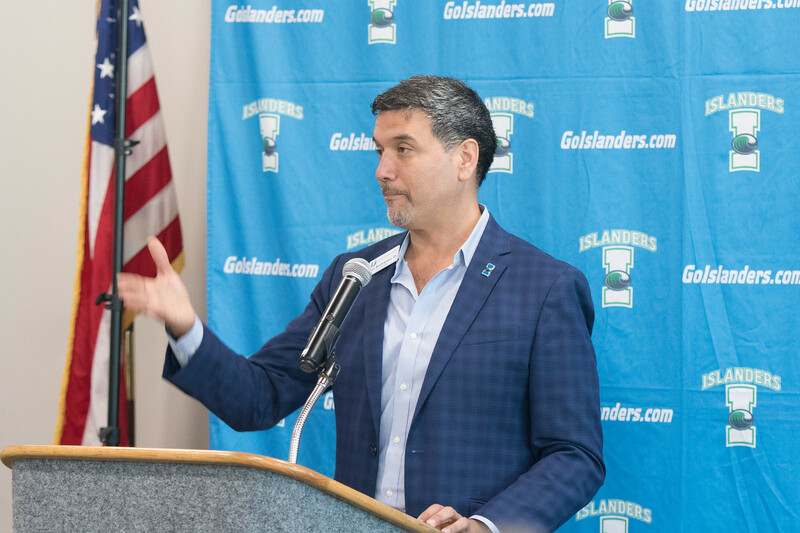 In celebration of the newly declared Islanders Day, the team will play against Sam Houston State tonight at 7 p.m. in the American Bank Center during the Chamber Night game. 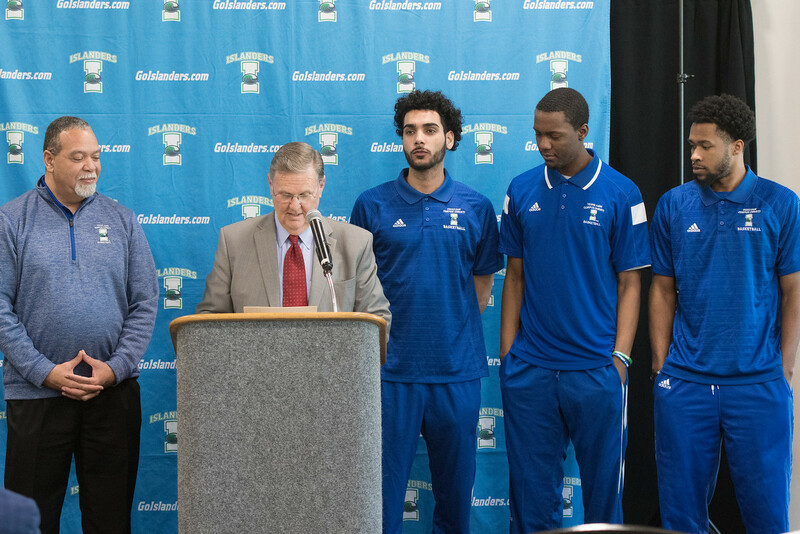 General admission tickets are $12 and students receive free admission and parking with a SandDollar$ ID. 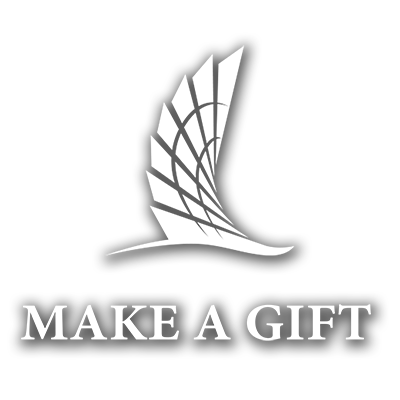 To purchase tickets, click here. 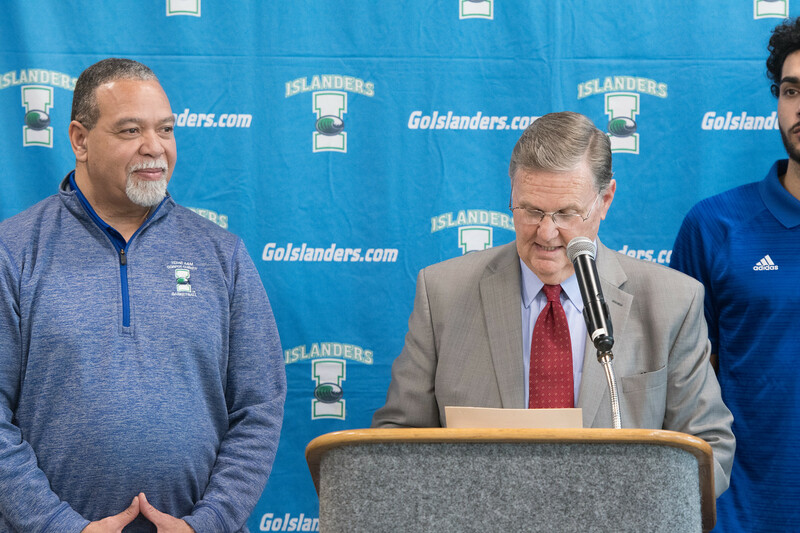 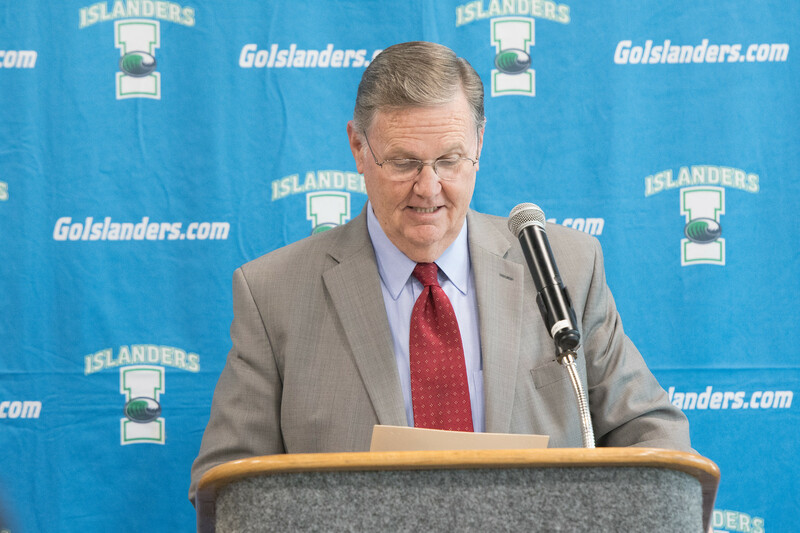 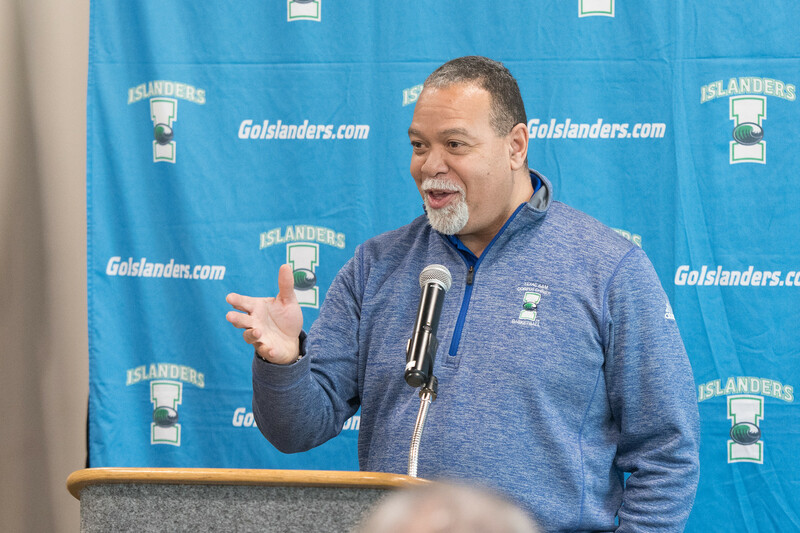 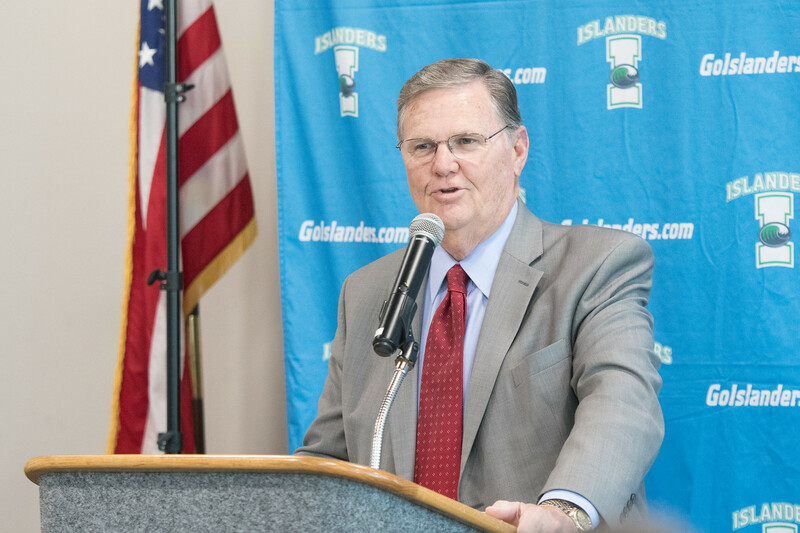 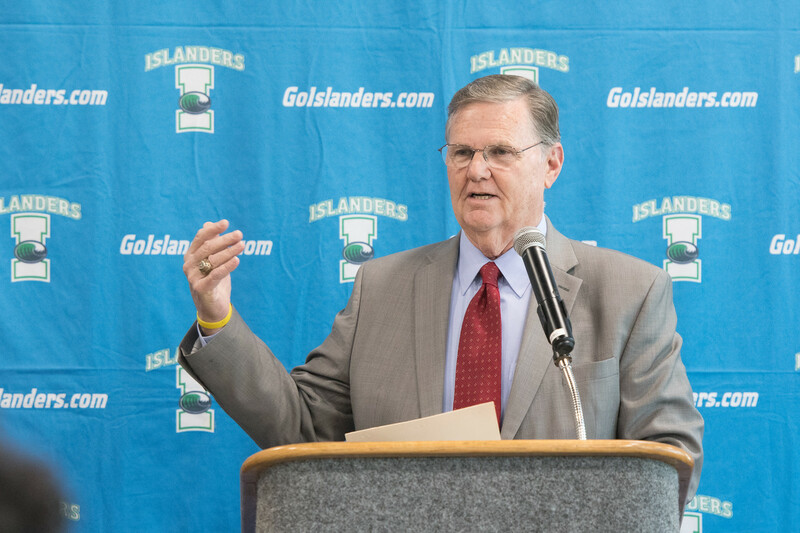 According to Whipple, the Islanders Men’s Basketball team has won 87 games over the past four seasons, appeared in the post-season each year, received 15 Southland Conference Awards, earned the National Coach of the Year award and had one student-athlete lead the NCAA in steals. 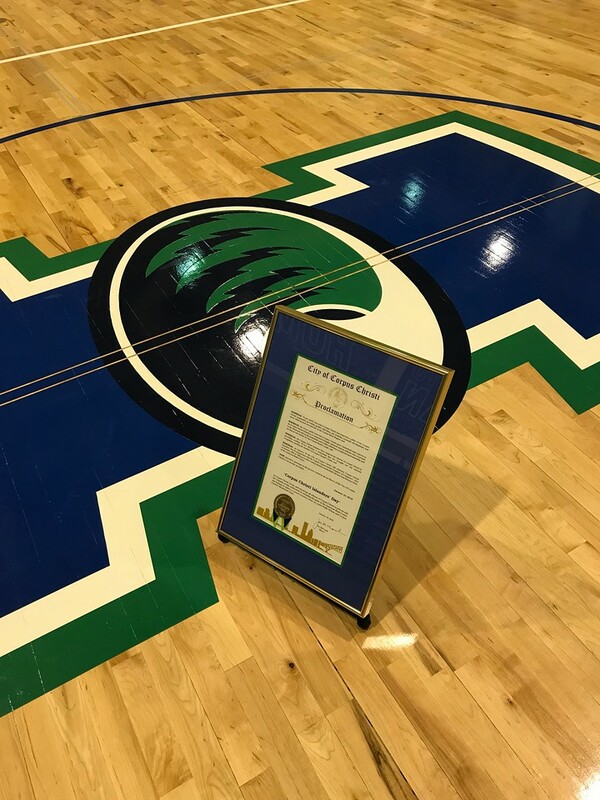 With so many accomplishments under their belt, the team encourages more community members to attend games and share in their victories. 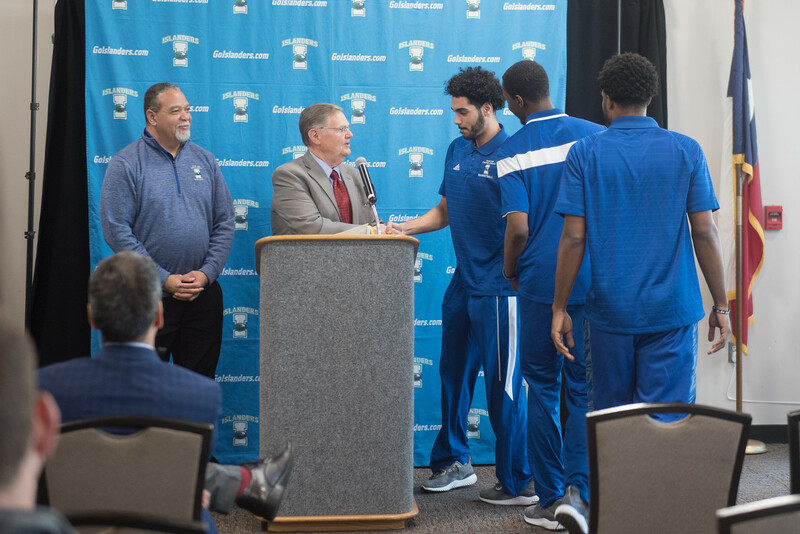 In addition to Wilson and Whipple, senior business major Joseph Kilgore, senior mechanical engineering major Ehab Ahmin and senior psychology major Emmanuel Toney attended the proclamation ceremony. 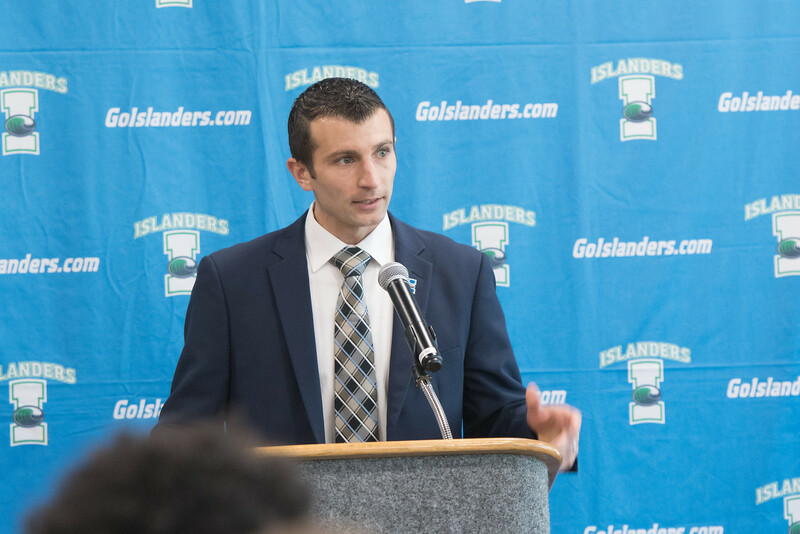 All three Islanders are credited with much of the success the team has seen over the last four seasons.